Nestled in the Mae Hong Son Province of Thailand is the charming city of Pai. It is one of the most loveable towns in the Kingdom. Between its affordability, great weather, and laid-back and enticingly weird hippie vibes, this is one city you must include on your Thailand itinerary. 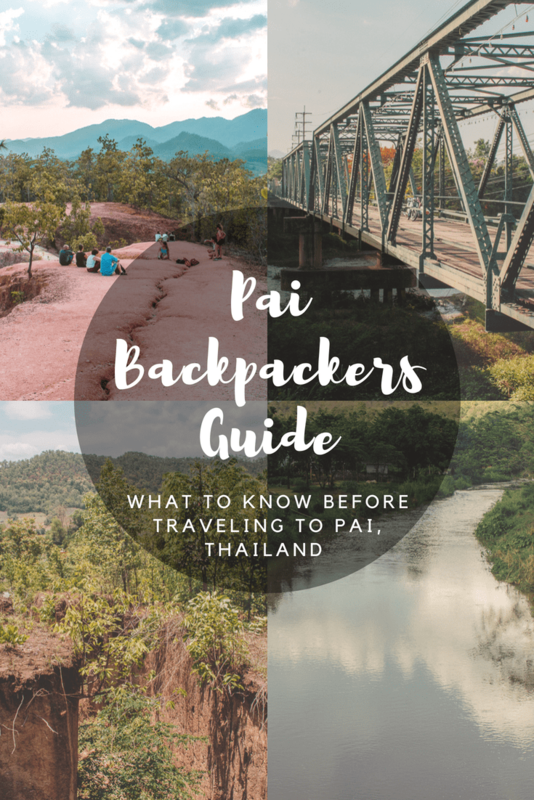 Before doing so, however, be sure to check out our complete backpacker’s guide to Pai, Thailand! 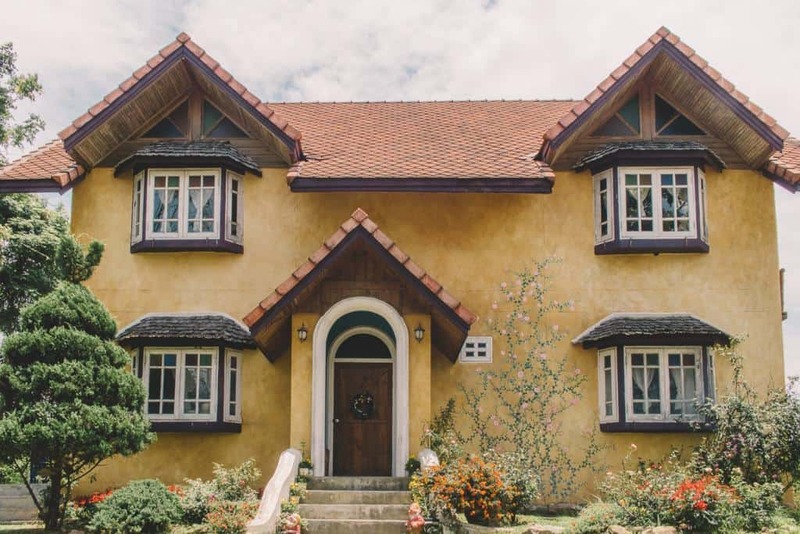 Even though Pai is a small city, there are still plenty of things to see and do. 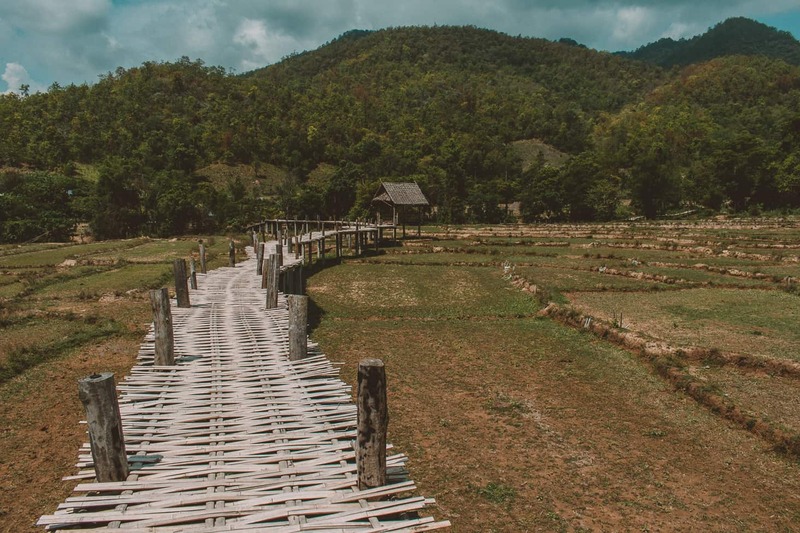 From unique and hidden gems to attractions you should not miss, here is everything you need to know before planning your trip to Pai, Thailand! Adventure and relaxation come together as one in the city of Pai. 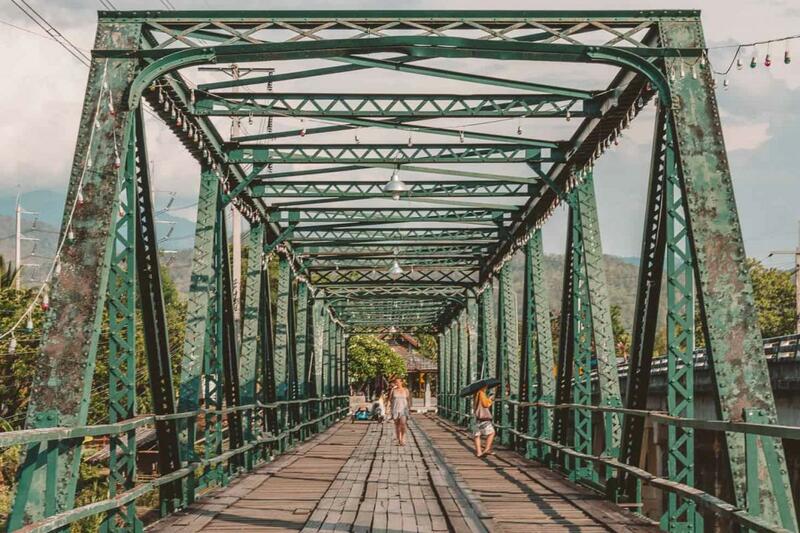 Splendid waterfalls and dark caves beckon adrenalin loving travelers while the quiet banks of the Pai River attract visitors who are looking to do one thing and one thing only in Pai: chill. All of the enticing attractions can make it difficult to narrow down your itinerary, so we did the legwork for you. Before departing Pai, be sure the following is at the top of your list! For even more incredible sights, check out our list of the top 20 things to see and do in Pai! 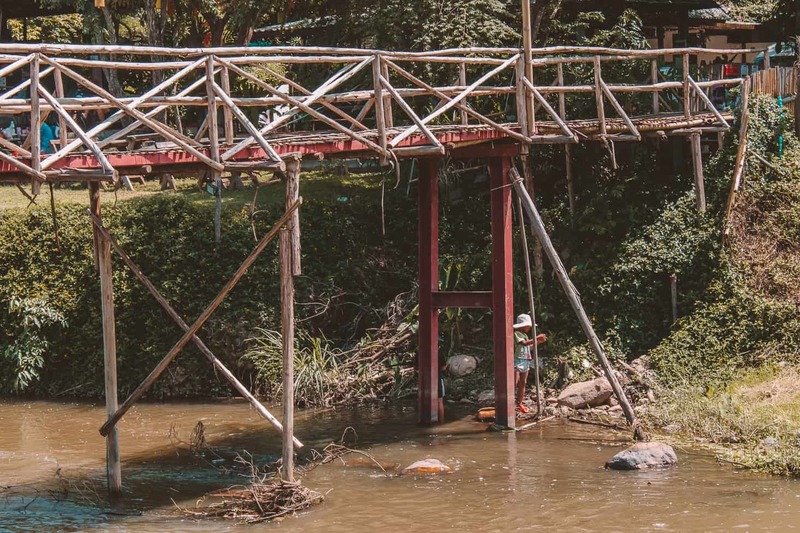 Luckily for creative travelers in Pai, there are plenty of things to see and do that will unleash your inner artist. Art in Pai is a locally owned art shop that is filled with elegant antiques, vintage jewelry, cool paintings, and more. Return to Simple specializes in jewelry pieces that reflect traditional Thai culture. If you enjoy admiring art while listening to live music and eating, then head to Thien Art Space. Enjoy gazing at the floor to ceiling artwork at Joy Cafe while dining on traditional Thai food. The options are endless. 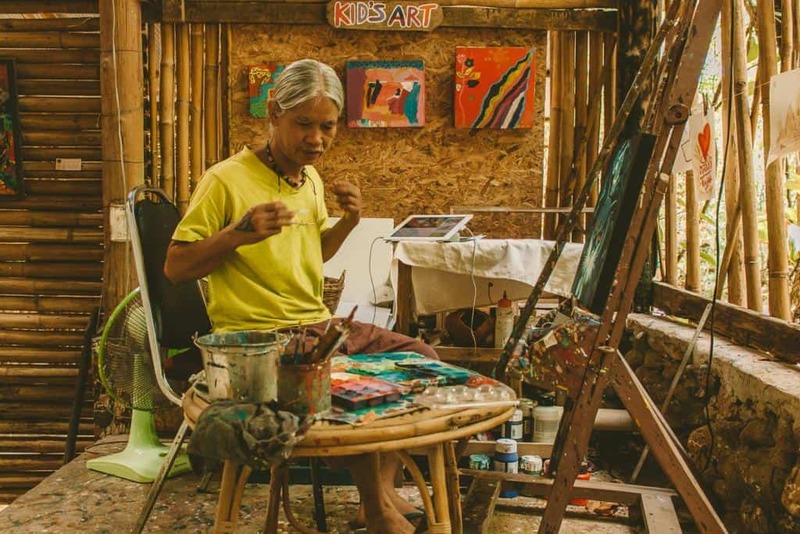 For more information about what to do as an art lover in Pai, follow our complete guide. Pai is a unique city with cool finds throughout. If you want to skip the major attractions and instead fill your itinerary with under-the-radar excursions, this city has got you covered. 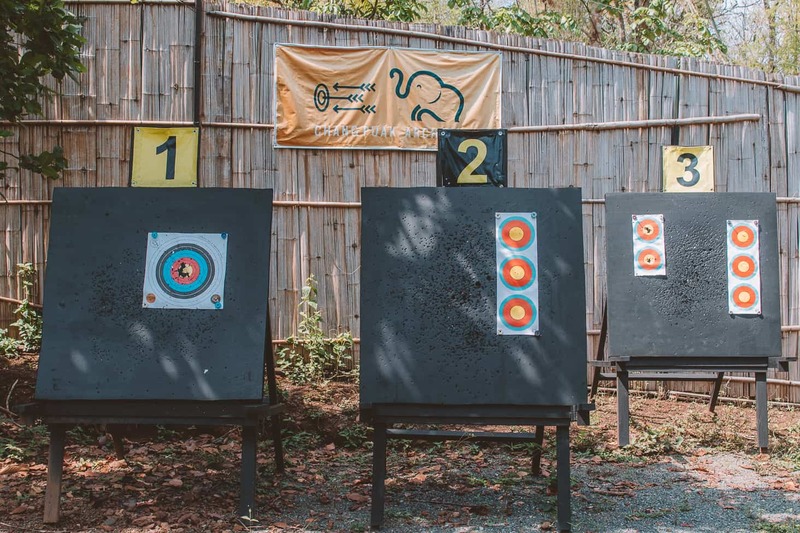 Chang Puak Coffee House is a cafe that doubles as an archery course. You can try your hand at guitar at Easy Guesthouse and Gallery, an accommodation option that is also an art gallery and has a guitar instructor onsight. Take a fermentation class and learn to make kombucha at Good Life Herb and Health Restaurant. For more information on unique things to do in Pai in 2018, check out our complete guide! It’s a race against time! Though Pai is a city in which you will want to spend weeks in, many of us are only allocated a certain number of vacation days. To make the most out of your time in this charming city, you must fill every day to the brim with excursions to go on, restaurants to dine in, and yoga classes to tangle your way through. We have created a step by step, 48-hour guide to Pai. It kick-starts with a delicious breakfast at Big’s Little Cafe. This is followed by a visit to the Pai River. Visitors will then do some shopping at the stylish stores and art galleries around town before going to Pai Walking Street. Day two is even more exciting, with everything from the Land Split in Pai to Wat Phra That Mae Yen on the itinerary. If you want to see the entire itinerary, check out our 48-hour guide. 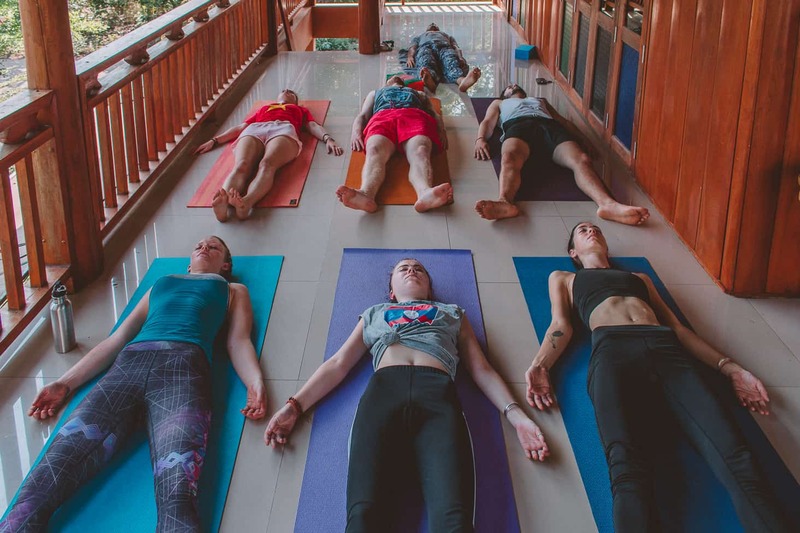 If you are feeling flexible, want to work on your downward-facing dog, or looking to channel your inner yogi, then check out the handful of yoga studios in Pai. There are classes offered every day of the week. Bom Bowls Yoga classes are on the second floor of a delicious smoothie bowl restaurant. A class plus a bowl is only ฿250, and the venue is amongst Pai’s lovely natural landscaping. Get acquainted with the yogis residing in Pai at Pai Yoga House. You can even teach yoga at Pai Circus Hostel & School, an interesting accommodation option that allows visitors to hold classes in exchange for free food! Find out everything you need to know about the best yoga studios in Pai, Thailand, here. Pai’s fitness scene is fairly easy to navigate. Because the city is relatively small, there are only a handful of gyms to choose from. 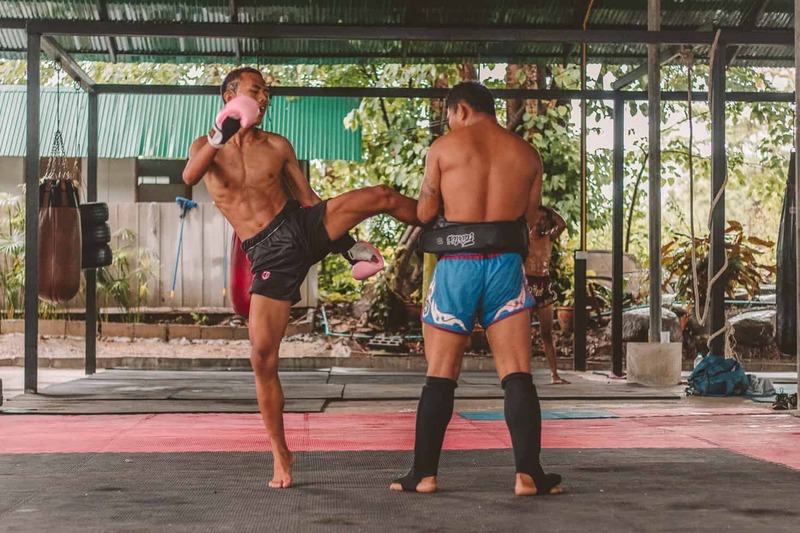 If yoga is a bit too zen for you, you may instead opt to kick, punch, elbow, and knee your way through an energetic Muay Thai class. Our favorite Muay Thai gyms are Charn Chai Muay Thai Camp and Sitjemam Muay Thai. 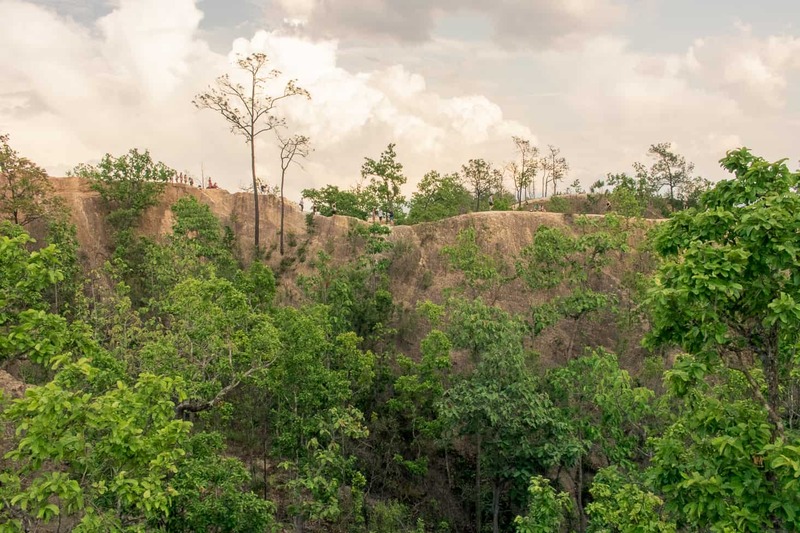 Fitness lovers can also use Pai’s natural landscaping to their advantage and get in a good workout by merely exploring this incredible city on foot or by bicycle. For even more information, be sure to read our complete fitness guide! If you have followed our advice and tried some of the incredible yoga studios and Muay Thai gyms around the city, it is time to relax, if only for an hour, and get an incredible massage. 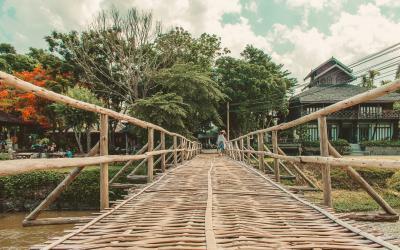 Luckily for travelers to Pai, there are plenty of places to get Thai massages, oil massages, and more around the city. Some of the best places are On Massage, Massage Lalita, and Sapaiya Spa and Clinic. Find out where else you can get pampered in Pai, here. No trip to Pai is complete without going out on the town. The city has its fair share of live music venues, laid-back bars, and ones that have live DJs almost every night of the week. If you are looking to meet your fellow backpackers, head to Boom Bar. It is equipped with affordable cocktails, beer pong, and live music. If want to stay up late and enjoy after hours, head to Don’t Cry Bar. If you want to people watch on Pai Walking Street, try Jikko Beer, where every hour is happy hour. 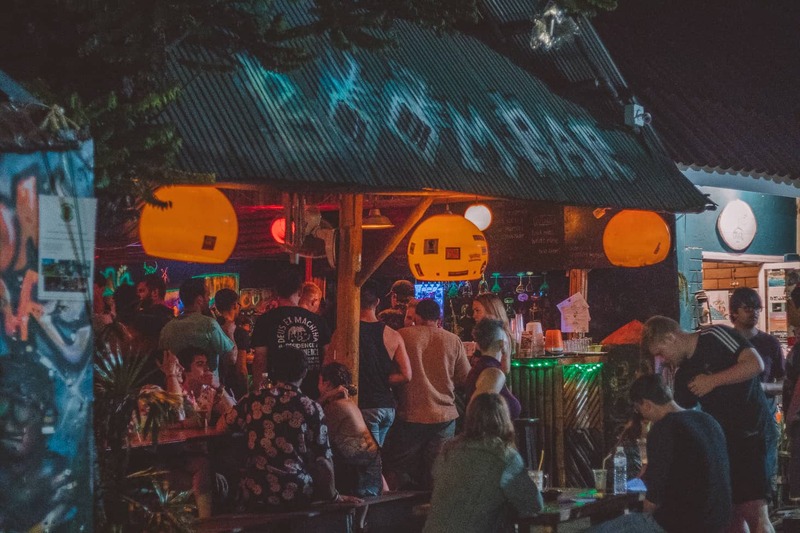 For more information, including hours, about the best bars in Pai, check out our complete guide. Where should you lay your head to rest after a day of exploration or a night of drinking in Pai? 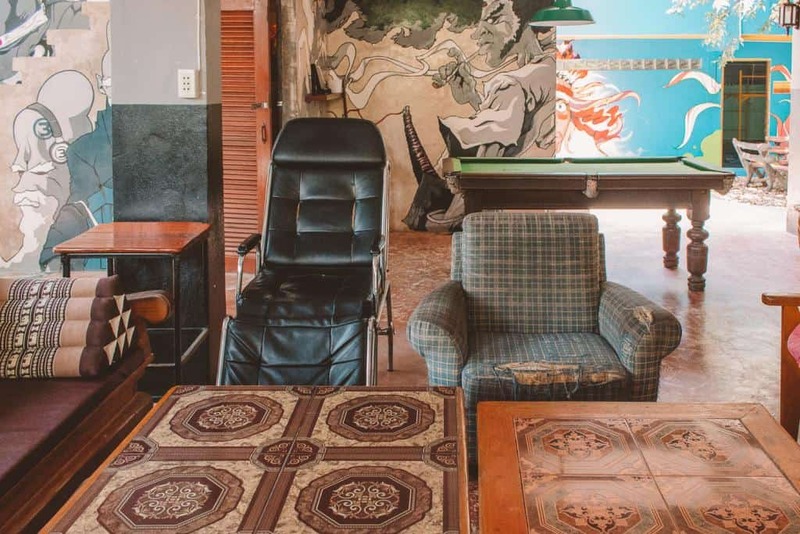 Don’t worry, as we have rounded up some of our favorite hostels in the area. 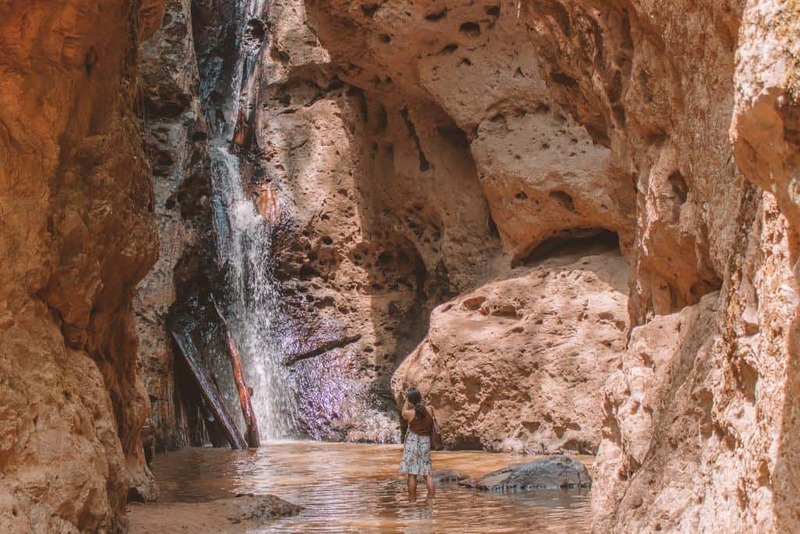 Whether you are looking for the liveliest social atmosphere, a pool in which to cool off in, or a great location, there are plenty of backpacker accommodation options! 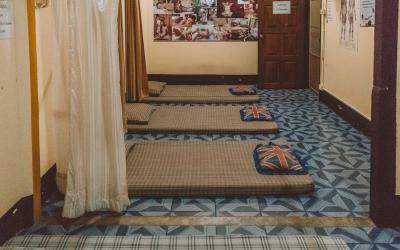 While most of you will be focusing on how it is you want to spend your days in Pai, you are going to need a place to sleep after a day of adventures. Pai has plenty of accommodation options that are both affordable and fun. Sleep amongst nature at Spicypai, a laid-back hippie hostel with camp-like huts. Mad Monkey Hostel Pai has just opened and is already drawing in crowds with its fire shows and pool. 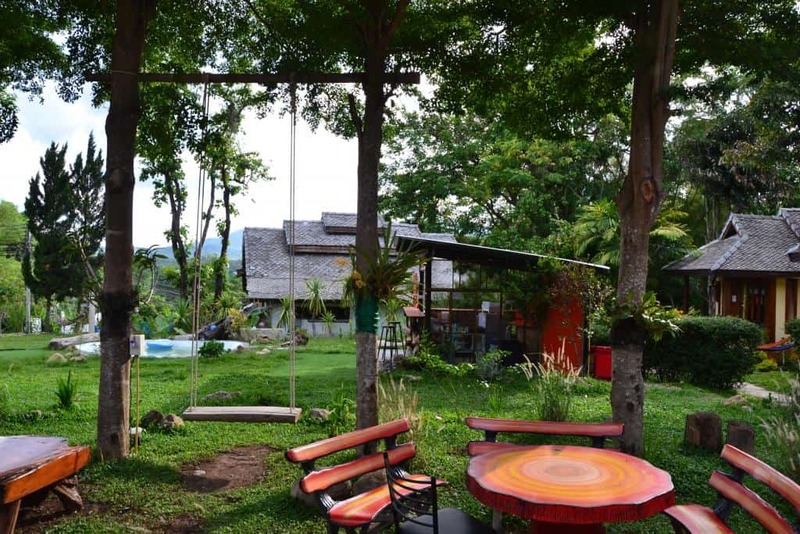 Buzza’s Backpackers Pai fosters an incredibly social atmosphere and even hosts family dinners, making it an excellent choice for those of you backpacking around the Kingdom solo. For more information on where to stay, check out our article about the best hostels in the city. 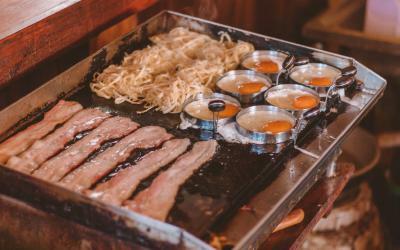 One could eat their way through Pai without venturing far from the city center. One of the best things about dining in this city is the sheer variety of cuisine available here, from international to Thai to budget-friendly eats. Get your appetite ready and indulge in some of the best restaurants in town. There is an eatery on every corner in Pai’s city center, making it difficult to decide where it is you should eat. Fret not, as we tried out this overabundance of restaurants for you so you can head straight for the good stuff. Of course, there is your fair share of Thai eateries, including Na’s Kitchen, The Blue Ox, and Ganesh Bar & Restaurant. If you want to take your palette international, instead head to Grunge Burgers or Baan Pizza. Vegan diners will fall in love with Earth Tone Cafe. 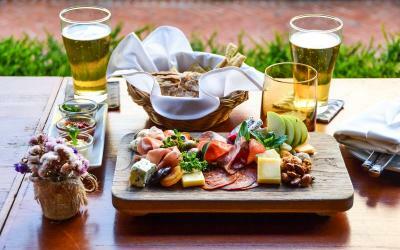 The dining options are endless, and any one of the best restaurants in Pai will please even the pickiest of diners. For more information on where to eat, check out our complete dining guide to Pai. Does a day really begin without first having a cup of coffee? We certainly don’t think so. The city is crawling with quaint coffee shops and cute cafes. Art in Chai is found right off Pai Walking Street and has some pretty unique brews, like their Lao coffee. If you want your coffee sporting organic beans for a reasonable price, head to Earth Tone. 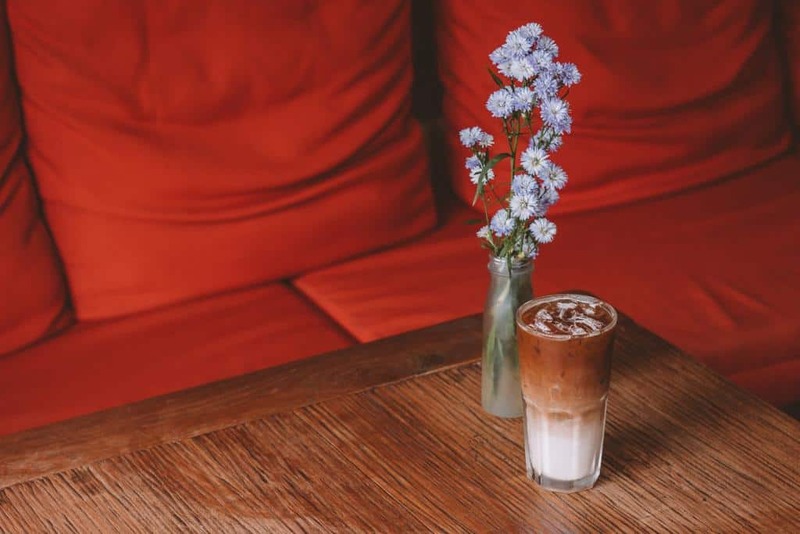 This vegetarian and vegan cafe has delicious coffee that starts at only ฿45. You can also get a bit risky with your coffee selection and instead try their reggae spice coffee or Vietnamese egg coffee. For more information, check out this comprehensive list of our favorite cafes in Pai! 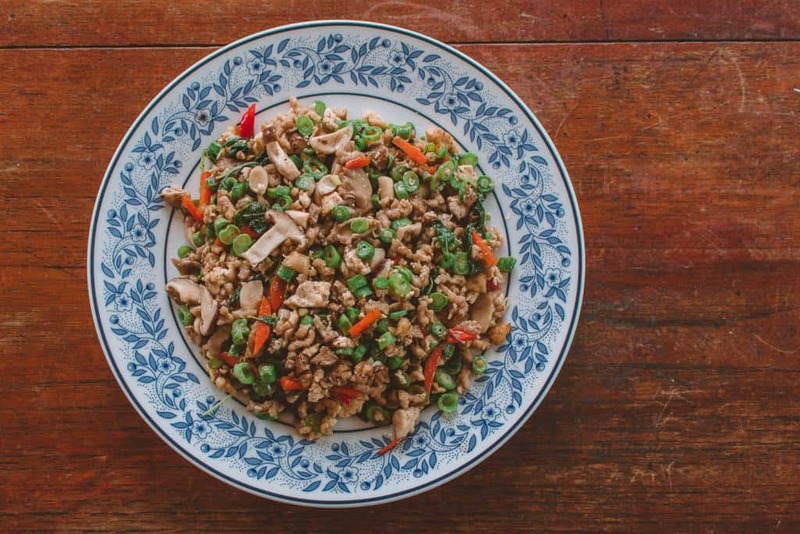 Enjoy satisfying, meat-free food at many restaurants in Pai. We’re not just talking salads here, people. Restaurants are serving up tempeh in Indian-style bowls, making acai bowls for only a few bucks, and so much more. Your stomach will be in heaven as you eat your way through this northern city, with animal product-free menu items at almost every restaurant. If you are craving a smoothie bowl, head to Bom Bowls. 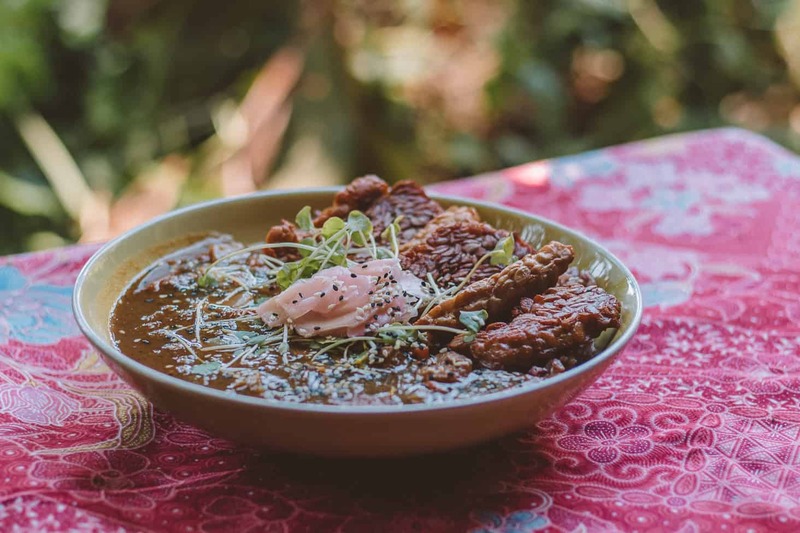 If you want to chomp those teeth into some faux meat, venture to Chew Zin Jai Vegan Food. 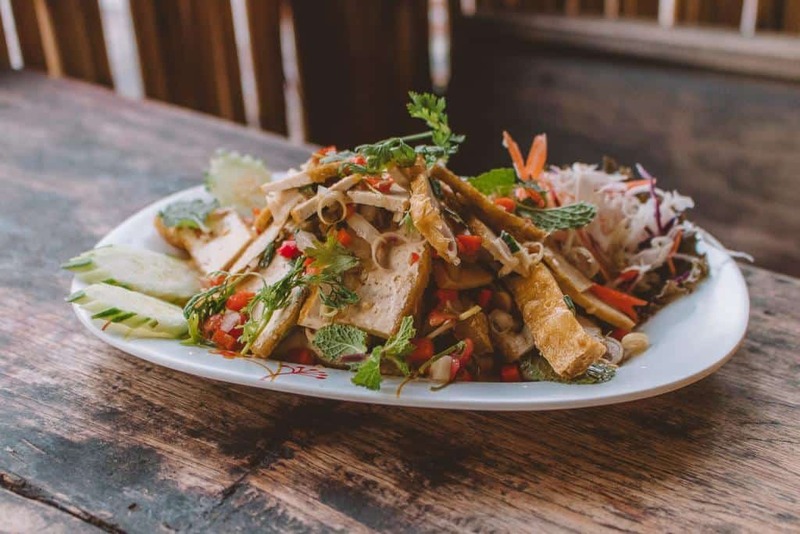 For a complete list of vegetarian and vegan restaurants in Pai, check out this article! If you are ballin’ on a tight budget, then scouring the city for affordable restaurants and cheap eats becomes a priority. We did all the searching (and eating) for you and have rounded up the best affordable restaurants. If you want to sample some of the local cuisines, be sure to stop by Na’s Kitchen, Karsa Long Thai Food, or Charlie and Lek’s for some delicious Thai dishes. If you abide by an animal product-free diet, then be sure to check out Chew Xin Jai for some of the best (and affordable) vegan food in town! For our complete list of the best restaurants in Pai to dine at on a budget, read the entire article, here. Whether you want a relaxing, morning meal amongst nature or a buzzing brunch at one of the most famous cafes in town, Pai has got you covered. Keep in mind that the city certainly lacks venues with buffet-style breakfasts and bottomless mimosas. However, you can still get that brunch fix at some venues, should you deem it necessary! If you had one too many drinks the night before, head to Boomelicious Cafe and tried their big hangover breakki (฿280). Avocado lovers will want to try Lemon Thyme Cafe, with favorites including their salmon and avocado toast. Venture a bit outside of the city center and indulge at Fat Cat, serving up some of the most delicious and affordable smoothie bowls in Pai. 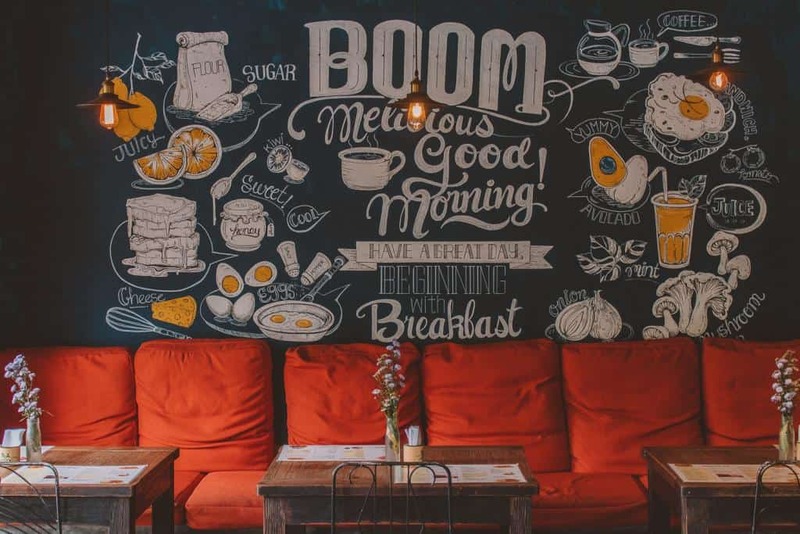 Now that your stomach is growling, be sure to check out our complete list of the best restaurants in Pai for both breakfast and brunch! 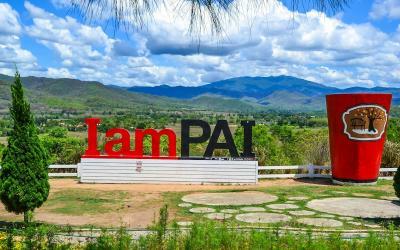 So you know what to see, where to eat, and how to unleash your inner-artsy side, but there are still so many useful tidbits of information worth sharing to make sure your trip to Pai is a memorable and care-free one. There are four ways that you can get from Chiang Mai to Pai: an airplane, bus, car, or motorbike. Our first word of advice is to bag the bike and instead pick a vehicle on four wheels. It is not uncommon to see many of backpackers bruised and scraped up after attempting the hair-raising ride from Chiang Mai to Pai. It may be beautiful, but it is just not worth the risk. 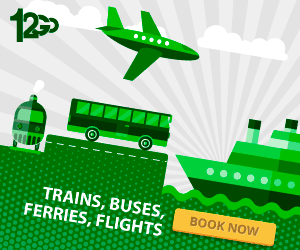 Instead, opt for taking a minibus or car if you want to drive. If you have enough friends, rent a car (with a Thai or international driver’s license) or pay a driver to get you there. Public minibusses are only ฿200 for a one-way trip, as well. If you have baht to blow, you may instead opt to make the short plane ride from Chiang Mai to Pai. 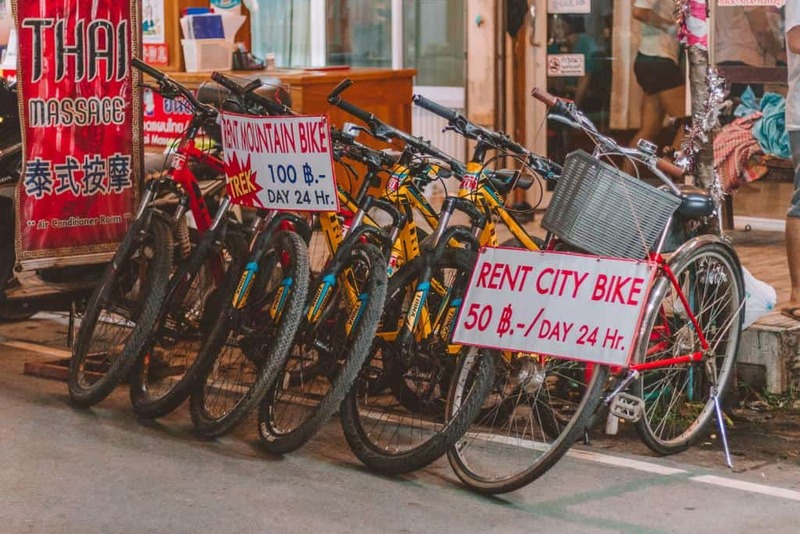 Once in the city, you can get around using a motorbike, bicycle, electric bicycle, or on foot. For even more information on how to get around town, how much it will cost, and more, check out our complete transportation guide. 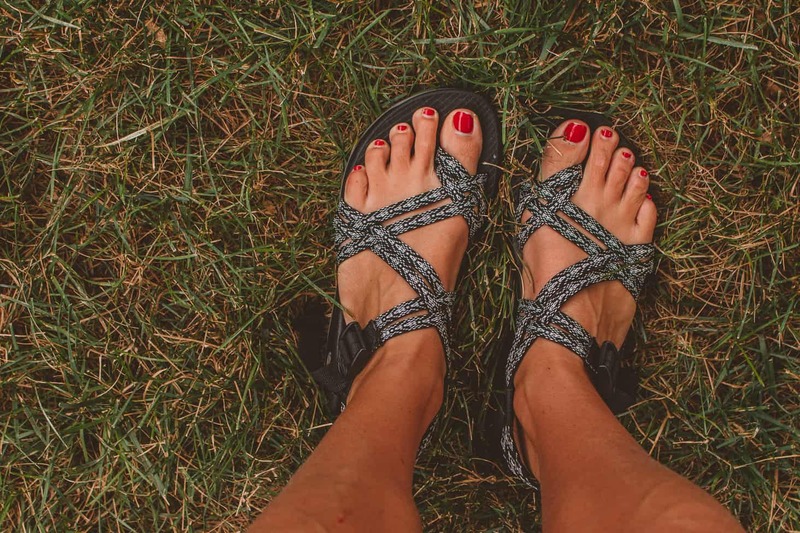 There are a few things you need to cross off your packing list before flying to the Kingdom. For one, you will need your passport, a visa (if you plan on staying longer than 30 days), and copies of all your essential documents. Investing in a fanny pack or money bag is always a good idea, especially if you plan on partying late into the night … which is also a good idea! 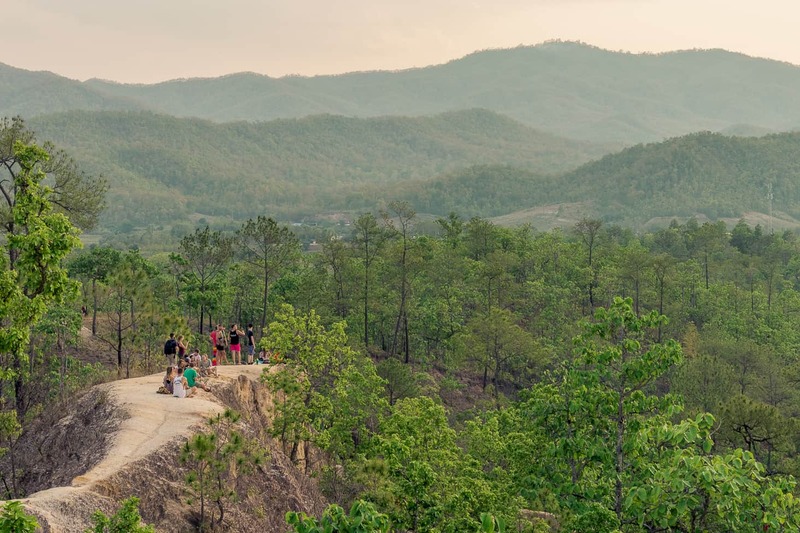 Pai is less humid and often chillier than some of the other top destinations in Thailand, so bringing a light jacket or sweater is a good idea. Do not forget to bring a swimsuit so that you can take advantage of all the swimming opportunities, like taking a dip in Fluid Pool. For an in-depth guide on what to pack in your suitcase before traveling to Pai, check out the entire article, here. Are you traveling through Thailand and want a few Thai phrases to carry around in your back pocket? Then memorize the ones below! Check out our article with even more helpful Thai phrases to make your trip to the Kingdom a memorable one. How are you? Sà-bai-dee măi? Do you speak English? Pôot paa-săa ang-grìt dâi măi? Have you eaten yet? Gin kâao lɛ́ɛo rʉ́-yang? Did you love this article about how to spend your days in Pai? 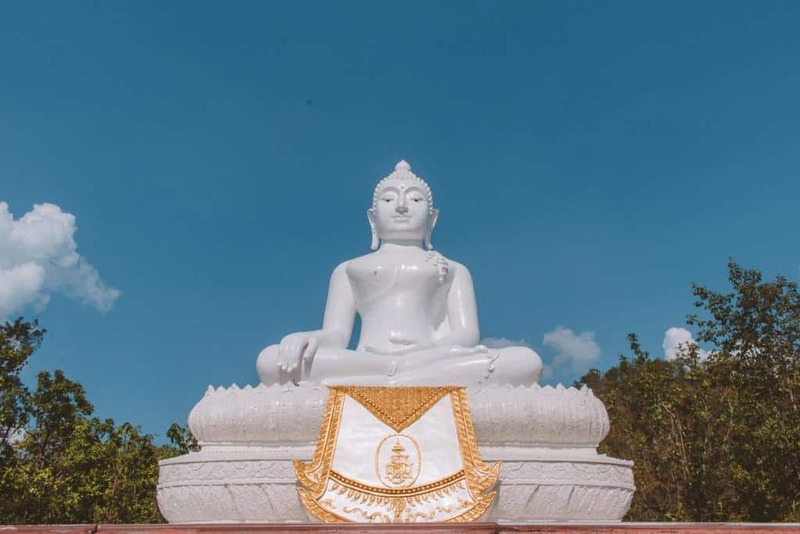 Do you want even more information on the top things to see and do in Pai, Thailand? Then grab your reading glasses and check out these articles we have rounded up to help make your trip to Pai the most memorable one it can be!